Have an Adventure! Rent a Jet Ski. 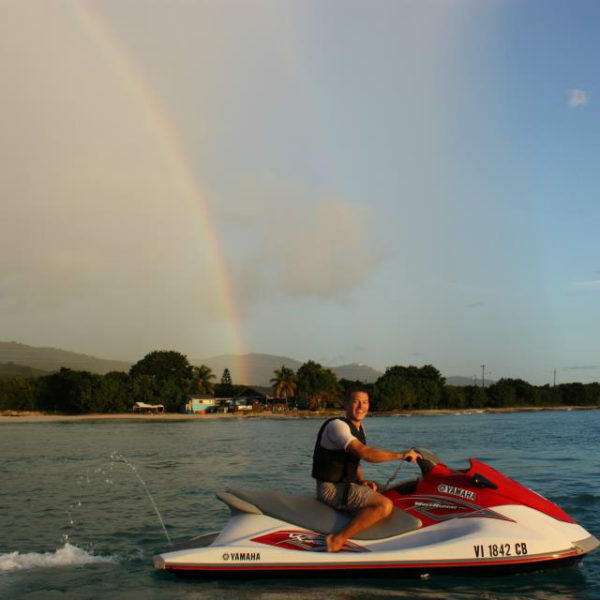 We provide the perfect place for you to enjoy many different watersports including jet skiing, flyboarding, kayaking, stand up paddle boarding, wakeboarding, tubing, and snorkeling. 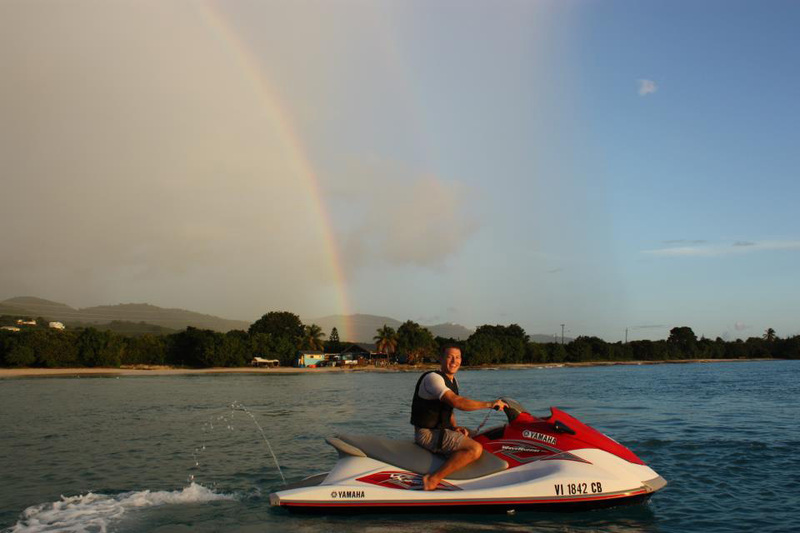 Your choice of guided or unguided use allows you to enjoy jet skiing on St Croix however you wish! Unguided rentals are $60 per half hour and $100 per hour. 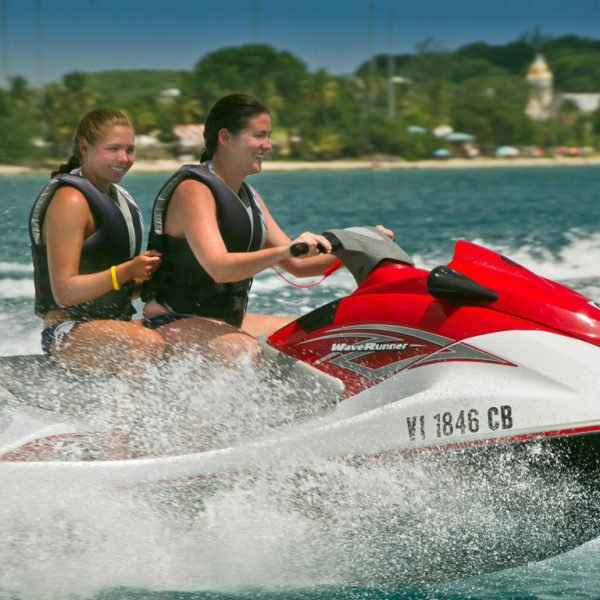 Guided jet ski rentals are $100 per half hour and $180 per hour. 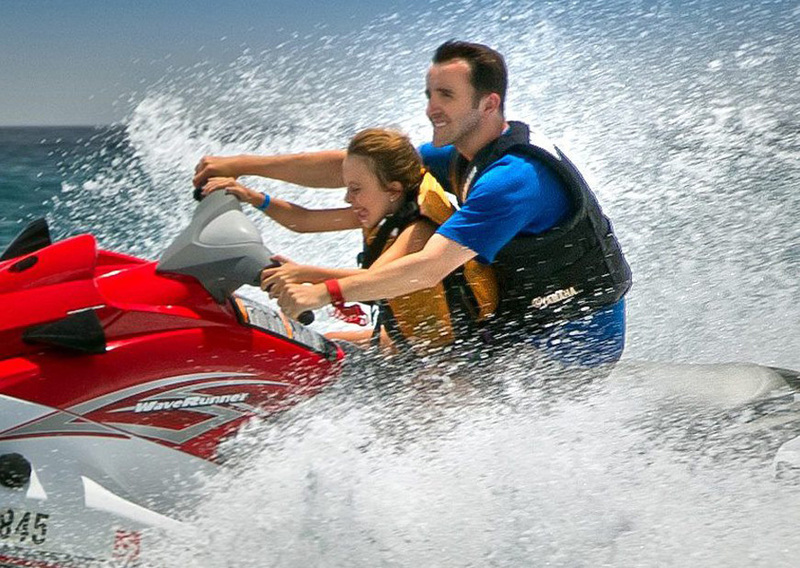 $60 for 30 minutes or $100 for a full hour, you can explore our ride area on one of our state-of-the-art jet skis. Ride through over one square mile of clear blue caribbean waters. The unguided rental allows you the perfect opportunity to play to your heart’s content. 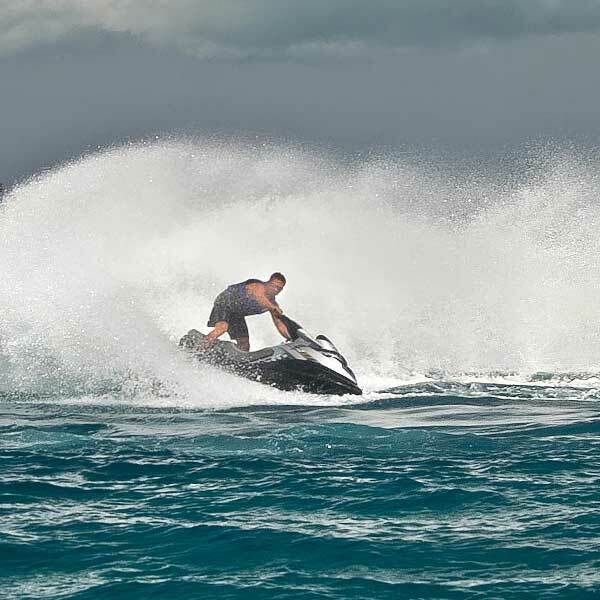 Our Adrenaline & Extreme Tours offers the ideal jet ski opportunity for daring riders. On our extreme tour riders have the opportunity to jump waves and go fast til your heart’s content. 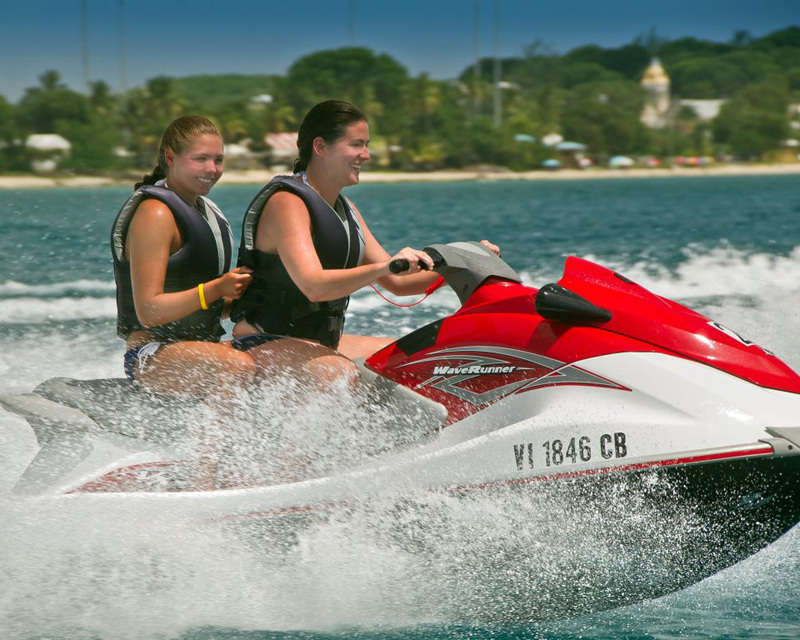 There is a minimum of two jet skis or a maximum of 4 jet skis on the tour with one rider each. The tour starts at Rainbow Beach and heads south to Sandy Point wildlife refuge and turtle nesting beach where you can jump waves off shore or hang in the calmer waters and watch. After a little play time there we head to the north west point of the island called Ham’s Bluff where you can hit the rough waters or take in the beautiful cliff side scenery. The whole trip takes just over an hour and needs to be booked 24 hours ahead of time. Gloves and a bottle of water are provided. Must be at least 16 with ID and prior jet ski experience. Call us for more details. Explore the crystal clear caribbean waters off the west coast of St. Croix with a guide for $100 for a half hour and $180 for an hour. 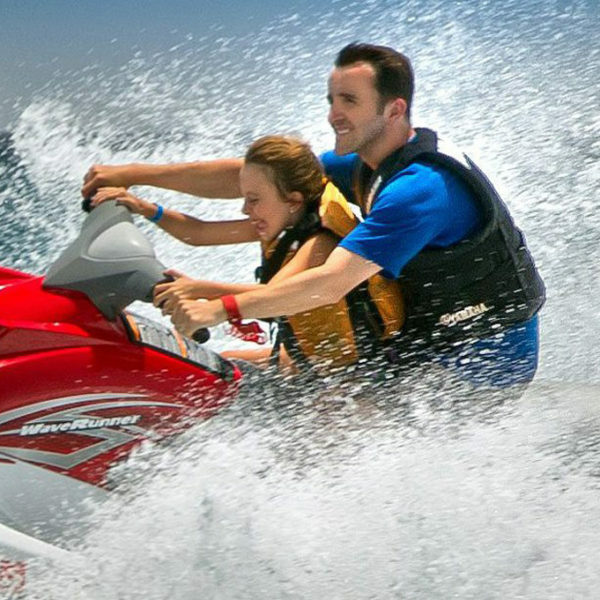 We accept cash or credit for jet ski rentals however you must have a valid major credit card and matching I.D. for each Jet Ski you rent to use as a security deposit. Any violation of the rules may incur a fine and or termination of rental. You are responsible for any damages you may cause. For more information or to reserve your rental now, call us at 340-277-8295.